One of the most anticipated releases for all of music is finally HERE! And Terrill spends some quality time with none other than soulful crooner, Mr. El DeBarge!! El drops by to talk about his new album slated for release Nov. 30th, 2010 titled, “Second Chance.” He also speaks out about the creation of the project, what to look out for down the road and much more! We welcome El DeBarge to The Urban Music Scene! TERRILL: The urbanmusicscene.com is more than elated, in fact excited for this rhythm crooner we have on the line right now folks. It’s amazing to know that after all these years, after all this time for rhythm and blues, we have one of the finest lead vocalists from the hit making group, DeBarge back on the scene. Mr. El DeBarge is in the house. What’s up El? EL DEBARGE: Hey, what’s happening? Good to be back. TERRILL: Yes man, how are you feeling today? How’s your day going? EL DEBARGE: I feel great. I feel great. My day is going well man, I’m talking to you on the phone, so we can talk to these people out here and let them know that I’m here and I’m glad that they still love me. I feel great. TERRILL: Hey man, we still love you and you know all that good music from over the years, all those hit singles. I mean I tell you man if there’s anybody who really expressed the word love for the quiet storm, it would definitely have to be you and your family man. So we welcome your return with open arms. EL DEBARGE: …that you come to know. TERRILL: Oh good, good. We have some of those new singles playing right now on the website. It’s getting a lot of responses. One of the biggest comments was, ‘when is the album going to drop’? EL DEBARGE: Right. And the album’s dropping November 30th. TERRILL: For real? Alright man, no more hold ups, right? EL DEBARGE: You can hold me to that. TERRILL: Right on man. So we’ve got one of the music videos out now for Second Chance. We have some more stuff brewing – are you working on some other stuff? EL DEBARGE: Yes. We have a video that we just finished doing with Faith Evans and myself, which is my next single called, ‘Lay With You’ and we just finished the video so you should see it like within a week. TERRILL: Okay. We’ll look out for it and be sure it’s published on the magazine man. For real, no doubt. But lets go back a little bit before the making of the album. We know that you’ve gone through some trials and tribulations over some period of your life – before the making of the album. How refreshed do you feel coming from, you know what you’ve done and what you’ve gone through, to such an excitement of this album? What are the experiences you’ve gone through to get you to this point of releasing a new album? EL DEBARGE: Oh man, I’ve been sober for two years this month, in October, two years. And I’m as you know, very, very grateful that God gave me a second chance. That He was so patient with me waiting for me to make that step towards Him. Everyday is a struggle. I’m facing the struggle with a sober mind, that’s what’s so rich about it this time. TERRILL: And then to see you get back into the music – it just feels so good to know that your blessings, your vocal gift, none of that has ever left you. EL DEBARGE: That’s right. God’s so good to me, I’m here by the greatness of God, and I have my chance because of the greatness of God and my mommas prayers. TERRILL: God Bless You Brother. And then now, you know you’re working with some of the biggest producers and some current producers, Baby Face, Jimmy Jam, Terry Lewis – what was your experience like going into the studio with those three gifted producers? EL DEBARGE: Well, to go in the studio with just Jimmy Jam and Terry Lewis was very much like going in the studio with Baby Face. We’re talking about three geniuses right here. You could just feel the music in the air even when nothing’s playing. Just things coming out of there. If you could just feel everybody’s thoughts in the air. You ever just been around someone and you just felt power in the air? 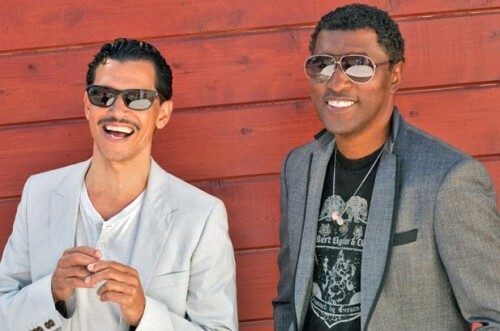 EL DEBARGE: It’s like I could tell right there that God was channeling information and power through Jimmy Jam, Terry Lewis and Baby Face, and even with Ron Fair, when we were all just sitting down in the room, I knew something powerful was going to happen. TERRILL: And that’s what those guys do, they bring the passion of soul to a lot of their music, which is the primary reason for a lot of their successes. And then of course with Interscope Records chairman Ron Fair. You and Ron have basically worked together to really put something together on this project, huh? EL DEBARGE: Exactly. Ron put his whole heart into my project as if it was his project. You know, the amount of work and diligence that he put into bringing this album home, you would have thought that it was a Ron Fair deal, you know what I mean? I was like ‘that’s great, that’s great’. EL DEBARGE: Great for him for that. TERRILL: That’s awesome. That’s good. You know we can’t wait to hear it. The people can’t wait to hear the album. Are we going to get tickled again with some of the slow ballads you used to put out back then in the late 70’s and the early 80’s? Do you have some of that vibe on the Second Chance album? EL DEBARGE: Oh yes. Oh most definitely. Yep. TERRILL: Alright, alright. Because the high falsetto voice will never go away bro. EL DEBARGE: Oh thank you! EL DEBARGE: People want to hear that when I’m on stage and they want to know if I can still sing that high. I’m like wow, you guys really want me to do that. TERRILL: You know that’s another thing, too, your stage prowess, it looks like it has never left, too. You were outstanding this year at the BET awards. EL DEBARGE: Oh, thank you so much. Thank you so much. EL DEBARGE: Mary J. Blige is such a special soul. I mean no hype, this is really from my heart. Mary J. Blige is such a special soul. And a very gentle spirit. She just, everyday that I’m on this road with her, she’s so endearing, she’s so welcoming. I always feel welcome. She gives me so much encouragement. You know, I let her know everyday, Mary, I’m so glad that you allowed me to share the stage with you. I’m so happy that she did that for me. TERRILL: And that is cool. I mean you’re still currently on tour right now as we speak, huh? EL DEBARGE: Yes I am, uh huh. TERRILL: Yes, you have a couple more dates up and then of course the release on November the 30th. And of course you’re all over the place El! (LOL) On behalf of the entire family here at theurbanmusicscene.com, we’re not only elated about your return to music – I mean you’re making a big statement El for being an artist, being in the game for a long time, had gone through a lot of struggles in your life and you have put that in the background and you moved forward. That is definitely a big plus man. We commend you for that. EL DEBARGE: Thank you so much. TERRILL: We hope ‘Second Chance’ will be a very successful return to the music world for you, for Interscope Records, for all the people that have supported you. You have a great background/support of people in your corner, and we just hope this is not the last recording for you, you know. EL DEBARGE: It’s not. We’ll do many more. TERRILL: I hope so. Before I go, I want to say, out of the music that you’re listening to, other than singing of course, and other than rhythm and blues, is there anyone today – of course you’ve been around the game now for a long time – who in today’s music are you listening to or is there anyone out there now that you’re diggin’? That you’re plugged into, that you’re listening to other than Mary J. Blige. EL DEBARGE: I’m listening to Keyshia Cole. I like Alicia Keys. Love her writing and singing style. And Beyonce is just, she’s so powerful. She’s so unique. I like Drake, I like Drake a lot. EL DEBARGE: Yes I really do. I like his style. I like the way he writes and the way he delivers his message. It’s just a real technique behind it. I think he’s a brilliant, young man. I love Keri Hilson’s voice. There’s a lot of new artists out there that are doing their thing. Up and coming. But the people I mentioned, I think would be at the top of my list. TERRILL: Oh okay. And that’s interesting to hear. Because again, you’ve been around the block to know. You know what turns the corner and what’s really hot, so I’m sure when they see the interview themselves, they will appreciate your comments. EL DEBARGE: Thank you. I think in terms of style and class, I think Fabulous is just like a class act. I love his voice. I like the way he chooses to say what he wants to say. It’s always like really a debonair way. TERRILL: You’re talking about the hip-hop artist Fabulous? EL DEBARGE: Yes, he’s pretty, he’s kind of like, I think he’s got an old soul. TERRILL: Yes. He does have a flavor. And that’s what makes him appealing. EL DEBARGE: Yes I like that, yes. TERRILL: Let me ask you this, you’ve worked with Faith Evans on your single that you’ve got coming out, “Lay With Me”, did an encore with Mary J. Blige (on tour), who else would you like to work with down the line? TERRILL: Is there anyone that you’d like to collaborate with that you’ve thought about doing? EL DEBARGE: That’s, yes, I would love to do something with Alicia Keys. I would love to sit down and sing with her while she plays the piano and we both just sing. TERRILL: Oh my goodness, man that would be a blow out. EL DEBARGE: It would be the song. TERRILL: Yep, that would be a blow out man. Hopefully somebody’s going to be looking at this interview will take note and…. maybe they will take care of the accommodation down the line. But hey listen I’m not going to take too much of your time man. Once again El, knock them dead brotha! Keep doing what you’re doing! EL DEBARGE: Thank you. I appreciate your time, thank you so much! TERRILL: And is there anything you’d like to share with our readers out there? Anything you want to tell those folks on the way out? 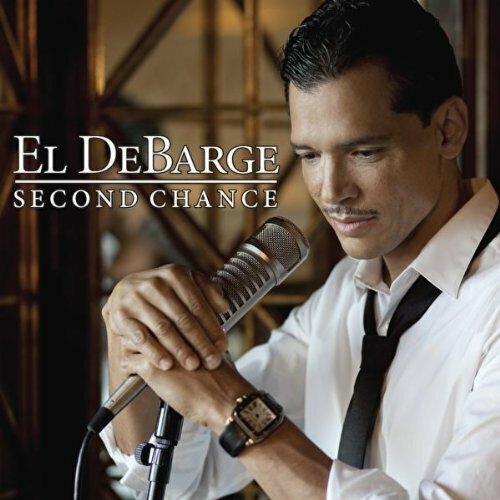 EL DEBARGE: I just want to tell you thank you so much for embracing me again and I did this album with you in mind, Second Chance, November 30th, go out and get it. It’s for you. EL DEBARGE: Lets do it. TERRILL: Lets hook it up man, get some feedback and we’ll share it with you and the whole nine. So have a beautiful day man, we’ll talk to you soon. EL DEBARGE: Thank you, you, too.